Removal of fine particles (smaller than 2.5 microns) from industrial flue gases is, at present, one of the most important challenges in air pollution abatement. These particles, which are hazardous because of their ability to penetrate deeply into the lungs, are difficult to remove by conventional separation technology. Ultrasonic energy offers a means to win this challenge. The application of an intense ultrasonic field to an aerosol induces agglomeration phenomena which change the size distribution in favor of larger particles, which are then easier to precipitated with conventional separators. 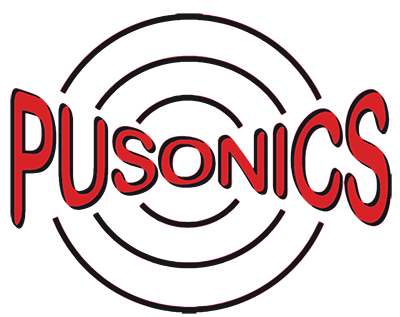 The ultrasonic power transducer family for airborne applications initially developed at the Power Ultrasonics Group of CSIC, and now exclusively developed and commercialized by PUSONICS SL. have repeatedly shown efficiency in the agglomeration of micronic and sub-micronic particle matter (PM). Acoustic agglomeration experiments performed with the AUS (Airborne Ultrasonic System), have been conducted from laboratory up to pilot plant scale with a variety of airborne PM including carbon black, gas oil and fuel oil aerosols, black soot aerosols, artificial fog aerosol, and coal combustion aerosols. As an example, exhaust fumes produced by a pilot scale coal combustor at a flow rate of 1600 m3/h have been successfully treated by four transducers mounted inside an agglomeration chamber installed prior to an electrostatic filter (FE). Preconditioning of these fumes via an ultrasound exposure inside the chamber of 2 seconds improved the PM retention efficiency of the FE of about 40% for both micro- and sub-micron sized particles. PUSONICS AUS can be used and/or adapted to industrial processes where agglomeration and collection of very fine particles is required. Gonzalez, J. A. Gallego-Juárez and E. Riera, “The influence of entrainment on acoustically induced interactions between aerosol particles- an experimental study”. Aerosol Science 34, 2003, pp. 1611-1631. A. Gallego-Juárez, E. Riera-Franco de Sarabia, G.Rodríguez-Corral, T. L. Hoffmann , J. C. Gálvez-Moraleda, J.J. Rodríguez-Maroto, F.J. Gómez-Moreno, A.Bahillo Ruiz, M. Martín-Espigares, M. Acha. "Application of Acoustic Agglomeration to Reduce Fine Particle Emissions From Coal Combustion Plants" Environmental Science and Technology, Nov.1999 33 (21), 3843-3849.